On Saturday, June 27, 2015 we were proud to honor the graduates from our 5th Leadership Program. Valentina, Grow Dat class of 2014, came out to the farm and generously offered her reflections to the graduating Crew Members. Below are her thoughtful words that we thought you might enjoy, too. My name is Valentina. I graduated from Grow Dat one year ago, and am now a Biology major at LSU. I came today to share with you my experiences and lessons that I carry with me because of Grow Dat. I want to tell you how Grow Dat impacted me, and of course also congratulate all of you for finishing the 2015 Leadership Program. When I first learned about this youth led farm on City Park, I could just picture myself gardening, planting, and being outdoors. Never did I think that I would encounter such a diverse and open-minded group of people that would teach me to be patient and accepting. A school classroom could not have taught me what I learned at Grow Dat. 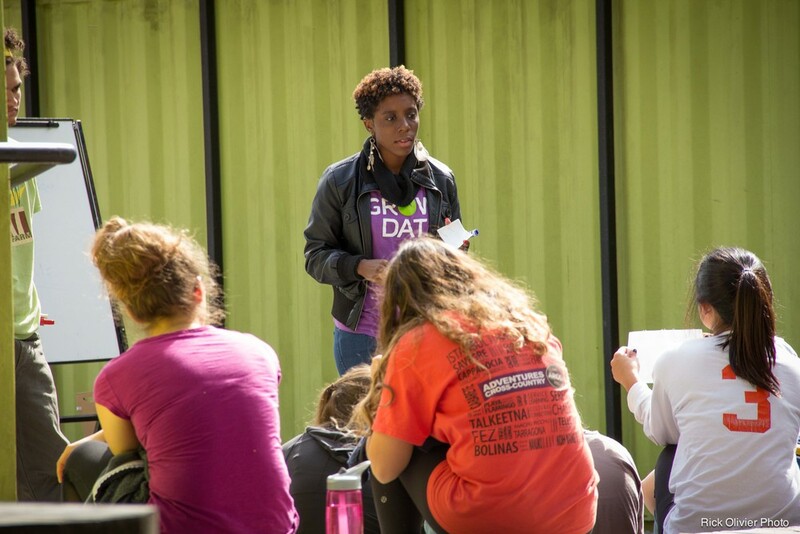 Because of Grow Dat’s workshops and discussions, I became so passionate about topics that I never gave much thought to: I became an advocate for issues such as farmer’s rights, immigration and food justice. I also learned a great deal about minimum-wage jobs in fast food chains, sexual orientation, and social and economic groups that I was rarely surrounded by as I lived most of my life in Latin America and was raised in Catholic School until I entered college. Grow Dat taught me to try on, to practice self-focus, to not blame shame or judge, and taught me that’s it’s OK to disagree. I met some truly wonderful people who inspired me to nourish and care for the only body we have. I talked to farmers who showed me what hard work really is, and how rewarding it is to provide food for American families. I became friends with people who gave up endless hours to serve breakfast for the homeless at Crescent City Café, and became influenced by fulfilled and happy people who shopped at the farmer’s markets. I have all of these experiences and connections because of Grow Dat. As an alum, I have shared my successes and hard times with the staff and dear friends, I have continued participating in Crescent City Café, and supporting local farms. Most importantly I have found myself through service and agriculture and I have found a family. I hope my experiences have inspired you to stop and think about what you want to take away from your experiences here at Grow Dat. Again, congratulations to all of you. Thank you! Valentina (on far right) preparing a delicious Community Lunch with Chef "Dook" of Dooky Chase Restaurant and Crew Member Dana. Grow Dat creates a safe and rigorous environment that challenges young people while supporting them in their growth. ABOUT: Join us on Friday, April 17, 2015 from 6:30-10pm for our Barn Dance Benefit presented by the Louisiana Hospitality Foundation. This is an incredibly unique event that takes place at our farm and features music, dancing, dinner, and cocktails. We will also offer craft cocktails, coffee specialties, and have ice-cold beer on hand. And last but not least, we are offering some very exciting silent auction items, including once in a lifetime vacation opportunities, unique art pieces, and other special surprises. Tickets are $40 in advance online, or $50 at the door. To reach out goal of getting 500 people to the farm, we hope you will also consider encouraging those you know to become part of our “Cultivating Friends” campaign. Those so inclined to organize a group can save on tickets and be a leader for our cause! CULTIVATE FRIENDS AND SAVE! Make a $400 contribution and you’ll get 11 tickets (that’s 1 ticket free!) and you’ll also underwrite one comp ticket for a Grow Dat youth or community member. Or, make a $200 donation and you’ll get 6 tickets (one ticket free!) and underwrite one comp ticket for a Grow Dat youth. OUR HONORARY EVENT HOSTS INVITE YOU TO JOIN US! Carol and Harold Asher, Cathy Pierson, Eve Troeh, Glen Armantrout, Councilman Jason Williams, Jennifer Kelley, Katy Casbarian, Margaret Orr, Nancy and Mike Marsiglia, Octavio Mantilla, Dr Ryan Thibodaux and Second Line Family Dentistry, Scott Cowen, Stephanie Stone and Ludovico Feoli, Susan Spicer, and Suzanne Mobley. GROW DAT YOUNG ALUMI HOSTS: Ashley Morgan, Cody Watson, Geiby Gomez, Melanie Long, Storie Cook, Tim Dubuclet, Tre Spadoni, Valentina Carillo and Yasmin Davis. HOOTENANNY PLANNING COMMITTEE: Stephanie Barksdale (Chair), Jennifer Kelley (LHF), Jeanne Firth, Claire Alsup, Nellie Catzen, Willa Conway, Kathryn Conyers, Johanna Gilligan, Malliron Hodge, Sarah Howard, Marian Howorth, Stephanie Krell, Kristy Magner, Keelia O’Malley, Emily Posner, and Joshua Schoop. ABOUT GROW DAT: The mission of the Grow Dat Youth Farm is to nurture a diverse group of young leaders through the meaningful work of growing food. 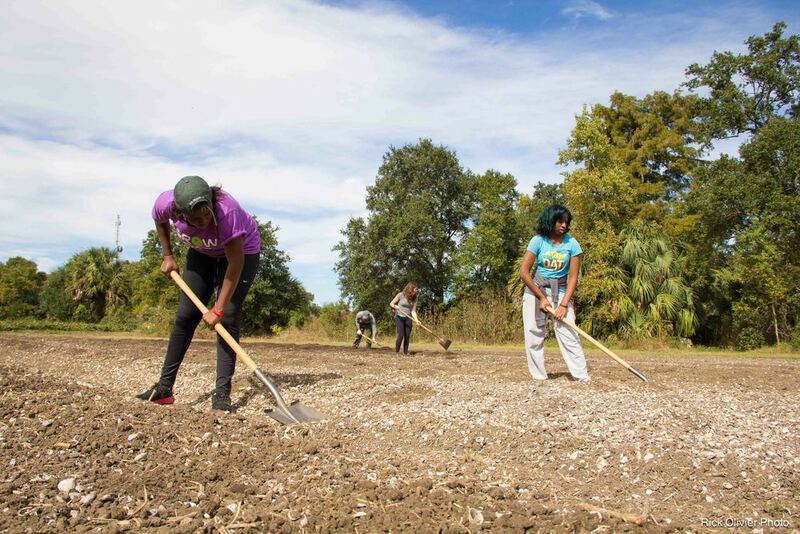 You can support these young adults who are growing food for New Orleans by joining us for the Grow Dat Hootenanny! Proceeds from this benefit will help us employ 40 teenagers to grow 12,000 pounds of food this year.